250 primary school children from more than 20 schools around the country have taken part in the final round of a national coding competition where children are challenged to complete a series of tasks by programming robots. The UK’s RoboCup Junior CoSpace Rescue finals, hosted by BT, were held at BT’s Labs in Adastral Park, Ipswich during the company’s Innovation Week, which runs from 12-16 June. RoboCup Junior is an international initiative which aims to excite and engage young people in science, technology, engineering and mathematics (STEM) subjects. The RoboCup competition is held annually, with the ultimate ambition of developing a robot football team capable of winning against the champions of the FIFA World Cup by 2050. Pupils from Leiston Primary School in Suffolk scooped the overall RoboCup Junior CoSpace prize. Clifford Road Primary School, Westley Middle School and St Joseph’s College, also in Suffolk, triumphed in winning one of the three programming tasks which were set for the children. The children, aged 6 – 11, worked in teams with teachers, alongside technical experts and professors, to complete the challenges. The first task required the children to program a virtual robot in a simulated environment to complete search and recovery missions using a combination of ultrasound and colour sensors. During the second challenge, children had to program the robot to follow a predetermined route using sensors to negotiate obstacles, line breaks and slopes. The third test combined art with robotics, allowing the children to create a choreographed robotic and human performance. The competition forms part of BT’s wider Tech Literacy initiative to inspire young people in the UK to embrace the role technology plays in their lives. The company has an ambition to reach one million school children by 2020 and is currently promoting the importance of computing skills on the national curriculum by working with the British Computer Society on the Barefoot Computing project. Barefoot Computing offers guidance and resources to primary school teachers with no previous computer science knowledge. As part of this, BT provides teachers and schools with the ScratchJr App, developed at MIT. The app allows children to use coding skills to create stories and games, helping them develop their problem-solving abilities from a young age. 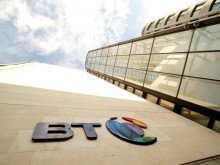 BT also recently announced that it has expanded its Step into STEM programme, a mentoring scheme which it runs in partnership with O2, Ericsson and Vodafone. 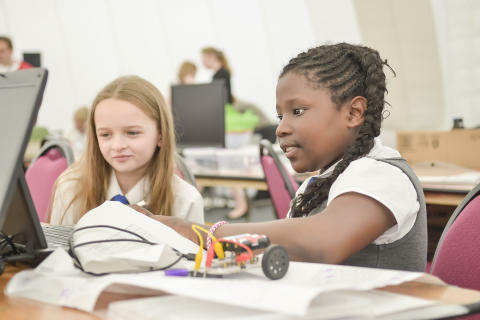 The scheme was launched in 2015 to encourage school girls to pursue STEM careers, by matching them with a mentor from each of the four companies. The RoboCupJunior finals for children aged 11+ were also held in April at Adastral Park for the fourth year running. Pupils from Holbrook Primary School in Holbrook and County Upper School and Westley Middle School in Bury St Edmunds were awarded prizes. BT will continue to support the RoboCupJr challenges over the coming years as part of its ongoing Tech Literacy programme.